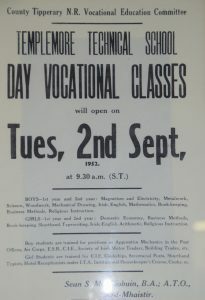 Templemore College was founded as Templemore Vocational School in 1934, serving the community as a traditional vocational school. 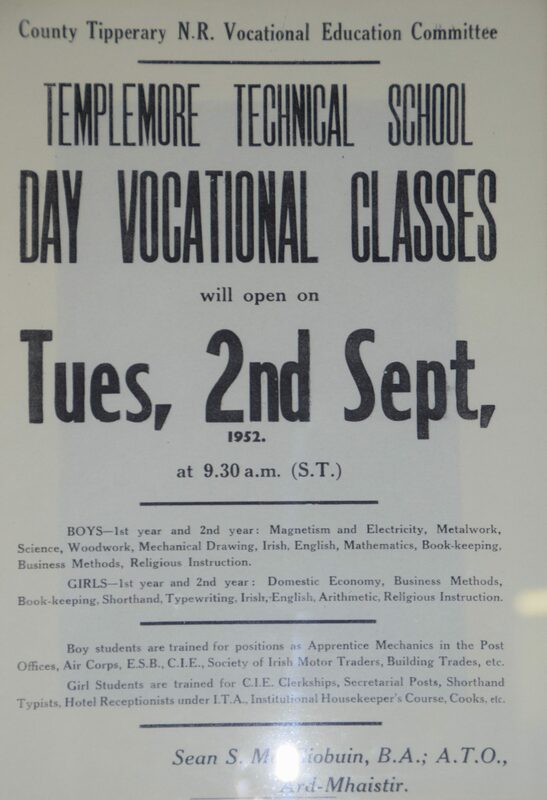 The Intermediate Certificate was introduced in 1974, and in 1977 the Leaving Certificate was introduced. In 1990, the school adopted the new name of St Sheelan’s College. However, in 1999, because of a reduction of post-primary enrolments, the decision was taken by North Tipperary VEC and the Department of Education and Science to develop the College as a Further Education College. In 2000, Céim Eile, a programme which addresses the challenges experienced by early school leavers, was established in the College. During the next few years the range of programmes available in the College increased, and in 2004 the phasing out of mainstream second level was complete with the graduation of the final Leaving Certificate class. 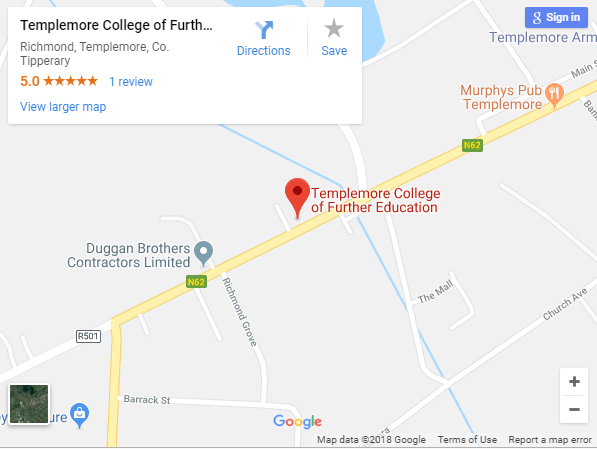 In 2012 the Board of Management of the College agreed to change the name of the College from St Sheelan’s to Templemore College of Further Education with a view to establishing both the location and the range of educational services it now provides.